U.S. Rep. John Culberson and his challenger, Lizzie Fletcher, found rare common ground on Wednesday as both endorsed Harris County’s proposed $2.5 billion flood infrastructure bond proposal. Culberson said he can match every local dollar Harris County puts toward flood recovery with up to three federal dollars, ensuring the county would have access to additional flood mitigation funds it would not have to repay. 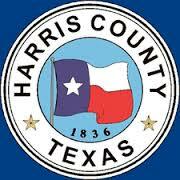 “I support that bond proposal, because that will increase the amount of money Harris County can put on the table, which allows me, as the appropriator, to put more federal dollars into the projects,” Culberson said. Fletcher, his Democratic opponent, said the bond is critical to addressing the county’s chronic flooding problem. “We saw as recently as last week how essential these investments in projects are to our community as Independence Day became another flood day in Houston,” she said in a statement. It’s hard to imagine either candidate not endorsing any remotely sound flood bond measure. It would have been highly iconoclastic, and very much a campaign issue, if one of them did not do so. By the same token, it’s hard to imagine this bond passing if it doesn’t get robust support from within CD07. Go back to the 2013 referendum to build a joint processing center for the jail and combine the city jail into the county. It barely passed despite there being no organized opposition but very little in the way of a campaign for it, and it owed its passage to the voters in Council districts C and G, for which there is significant overlap with CD07. (This was an odd year election, and while the County Clerk has made some changes to its election canvass data since then, the only district information I had for this was Council districts.) Having both Culberson and Fletcher on board helps, but it’s not sufficient by itself, especially for a weirdly timed election. It’s a start, but more will be needed for this thing to pass.